– Dragon Racing consolidated its #6 and #7 entries from Detroit through Mid-Ohio and Baltimore and was not eligible to earn non-Leader Circle bonus awards for those events. Tires available per entry: 1,772 total tires available with each entry receiving 15 sets (60 total tires) for the race weekend. 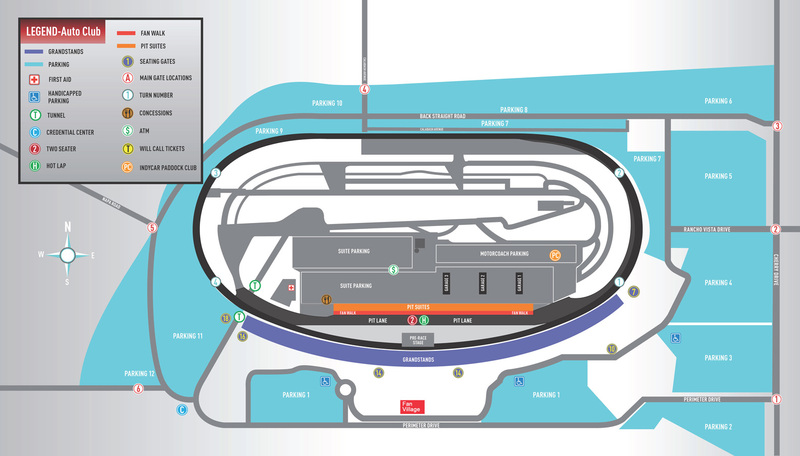 The tire spec selected for Auto Club Speedway is identical to the spec used for the Firestone 550 at Texas Motor Speedway in June.Tire stagger: A single stagger of approximately 0.45 of an inch is available for all teams. Incurring 10-spot starting grid penalties for unapproved engine changes: 3-Castroneves, 9-Dixon, 12-Power, 14-Cunningham, 15-Sato, 18-Wilson, 27-Hinchcliffe, 28-Hunter-Reay, 38-Rahal, 67-Newgarden, 77-Pagenaud, 78-de Silvestro, 83-Kimball, 98-Tagliani. – 69:00: 14-Cunningham makes contact exiting turn 2 to bring out yellow flag; minor damage. Session extended by five minutes. Rank Car Driver Engine Warmup Lap 1 Lap 2 AVG Diff. – 78-de Silvestro did not qualify due to the engine change required after her engine blew in early practice. – 18-Wilson did not qualify due to repairs required after his crash in early practice. – 45:00: 78-de Silvestro loses engine and brings out yellow flag. – 55:00: 18-Wilson makes contact in turn 2 to bring out yellow flag. Qualifying order: 10-Franchitti, 28-Hunter-Reay, 26-Andretti, 20-Carpenter, 83-Kimball, 17-Saavedra, 14-Cunningham, 12-Power, 27-Hinchcliffe, 19-Jakes, 77-Pagenaud, 9-Dixon, 22-Servia, 2-Briscoe, 11-Kanaan, 67-Newgarden, 5-Viso, 18-Wilson, 15-Sato, 78-de Silvestro, 8-Barrichello, 4-Hildebrand, 6-Legge, 3-Castroneves, 38-Rahal, 98-Tagliani.